Shop online for over 300 warbird plastic models at discounts up to 58%. 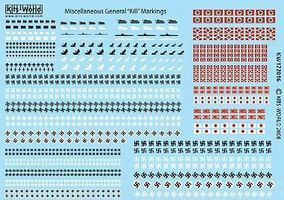 This is the 1/72 Scale Cocarde Stars & Bars for USAAF Bombers & Fighters 1921-1946 from Warbird Decals. 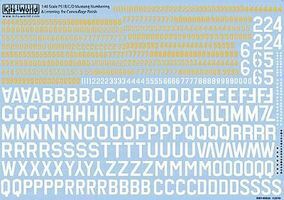 This is the 1/48 Scale P51 Lettering, Numbers, Kill Markings for Camouflage Finish Plastic Model Aircraft Decal by Warbird Decals. This is the 1/48 Scale B17F/G My Devotion, A Bit O' Lace Plastic Model Aircraft Decal by Warbird Decals. 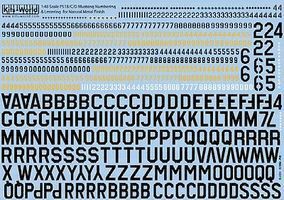 This is the 1/48 Scale P51 Lettering, Numbers, Kill Markings for Natural Finish Plastic Model Aircraft Decal by Warbird Decals. 1/72 P40Bs American Volunteer Group H81A2 & RAF 112th Sq. This is the 1/48 Scale B17G Texas Raiders, Yankee Lady Plastic Model Aircraft Decal by Warbird Decals. This is the 1/32 Scale P47 Phyl Darlin, Buzzin Cuzzin Plastic Model Aircraft Decal by Warbird Decals. This is the P40 Fifnella, Miss Memphis Plastic Model Aircraft Decal by Warbird Decals. This is the P47D Hard to Get, The Down Necker Plastic Model Aircraft Decal by Warbird Decals. 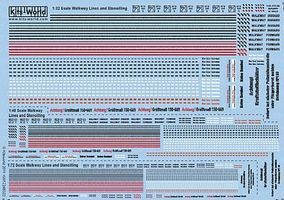 This is the 1/32 Scale B17F/G Red Outlines Stars & Bars, Black Walkway Lines, Life Raft & Data Pane Plastic Model Aircraft Decal by Warbird Decals. This is the 1/48 Scale B25J Heavenly Body, Vestal Virgin Plastic Model Aircraft Decal by Warbird Decals. This is the B17F Ye Olde Pub Pilot Brown & BF109G Pilot Stigler Plastic Model Aircraft Decal by Warbird Decals. This is the 1/32 Scale P47D 56thFG Stalag Luft III, Button Nose, Triss Plastic Model Aircraft Decal by Warbird Decals. 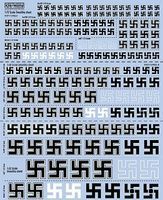 This is the 1/48 Scale B17 Lettering, Numbers for Natural Metal Finish Plastic Model Aircraft Decal by Warbird Decals.